Born in Tel Aviv, saxophonist/clarinetist/flutist-arranger/composer/conductor Eyal Vilner moved to New York in 2007 and graduated from the prestigious New School for Jazz and Contemporary Music in 2009. 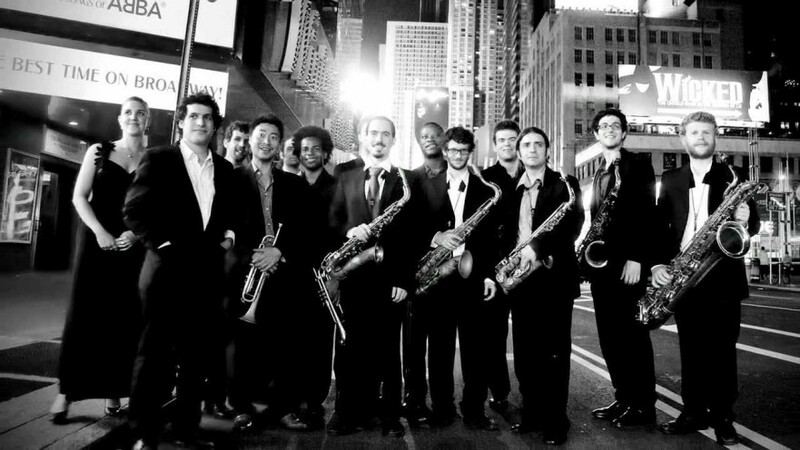 Since its inception in 2008, The Eyal Vilner Big Band has been performing widely at some of New York’s landmarks such as Jazz at Lincoln Center’s Dizzy’s Club, Iridium, Smalls, and Central Park SummerStage. The big band’s first two albums, Introducing the Eyal Vilner Big Band (2012) and Almost Sunrise (2015), received rave reviews and stand strong at the Top Jazz Radio Charts of the US and Canada. The Eyal Vilner Big Band has collaborated with some of the top jazz legends of our time including NEA Jazz Masters Frank Wess, Jimmy Heath and Jimmy Owens, and pianist Junior Mance. The big band performs Vilner’s new arrangements of jazz standards as well as his original compositions. “(Vilner) revives a classic style of music and refines it to appeal to contemporary audiences. Vilner is all about showing beauty through music, coordinating instrument parts, layering them and integrating them into positively-charged melodies that are soothing on the ears and caressing to the soul.” ~Susan Frances, Yahoo!